Admiral Harding Ltd have used Mawdsleys as a sub contractor for many years. They have always given our company great attention to detail, a good, reliable service in providing fast turn-around of repairable items such as motor overhauls and rewinds, supply of new items and they continue to offer their support and advice on all relative matters when asked. For the service received to date, we would not hesitate in recommending Mawdsleys. now and in the future. Cressall Resistors have been working in conjunction with Mawdsleys since 2008, mainly in having 24KW DC Motors repaired from an overhaul program of works on ex-British Rail Class 91 Blower Assemblies fitted to Cressall/ex-Eaton Cutler Hammer Rheo Brake Resistors. They have also from time-to-time submitted quotations for other Traction related projects. Mawdsleys have always given great attention to detail and good service in providing fast turnaround of repairable items and continue to offer their support and advice on all relative matters when asked. Although based a long way from our Dereham factory it has never been an issue for them to visit and thus they remain a much valued supplier to Cressall Resistors Ltd.
Mitchell Powersystems commenced our relationship with Mawdsleys in 2008 as a business partner for the deliverance of a Ministry of Defence naval enabling contract. This contract required first class product quality and technological support and a business partner that would step up to the mark in the even of an urgent naval requirement. Through our relationship with Peter Woodward and Paul Pearce we have found Mawdsleys to be all of those things and can happily testify that we have found them an excellent business partner to work with and have always delivered on their commitments. I would have no hesitation in recommending Mawdsleys for any future business partnership. Mawdsleys have serviced our pumps in a number of our Public Toilets over many years. They have always carried out their work professionally and to a high standard. In situations where we have had to call them out in an emergency they have always reacted quickly and kept us well informed of the situation. Mawdsleys have been the provider of maintenance and inspection works for North Somerset’s mechanical pump stock over the last four years. All pricing has been consistently transparent and the service given by all staff from Paul in the office to the chaps in the man holes has been exemplary. 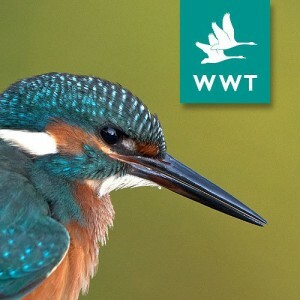 We at WWT Slimbridge in Gloucestershire have been using Mawdsleys for several years. We have found them very obliging and very quick in responding to any faults and breakdowns. At WWT we rely on pumping stations for pumping sewage to various pumping stations which eventually are pumped to a reed bed. It is essential that we have a good response time. The costs are competitive and no one has ever beaten them on our contract pricing. They are always courteous and nothing is too much trouble for them. © 2018 Mawdsleys BER Ltd. all right reserved.